A friend request…. You pause and think weren’t we already friends? You click accept, harmless enough yes? You have just invited a predator into your Facebook world. 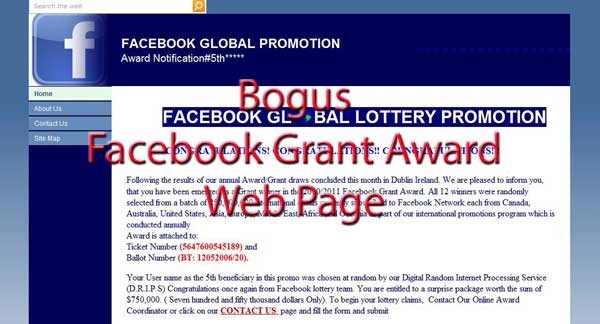 This is the new rage in cyber scamming. 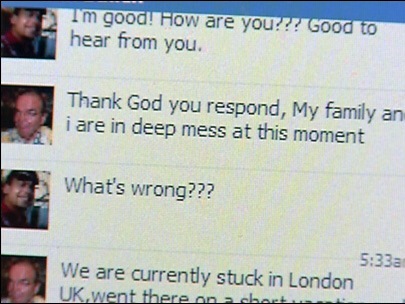 Later the bogus account will start chat sessions with the new “friends” they have made on Facebook. They will ask things like, Do you know Attorney George J Thomas? Have you heard about Federal Government Grant? 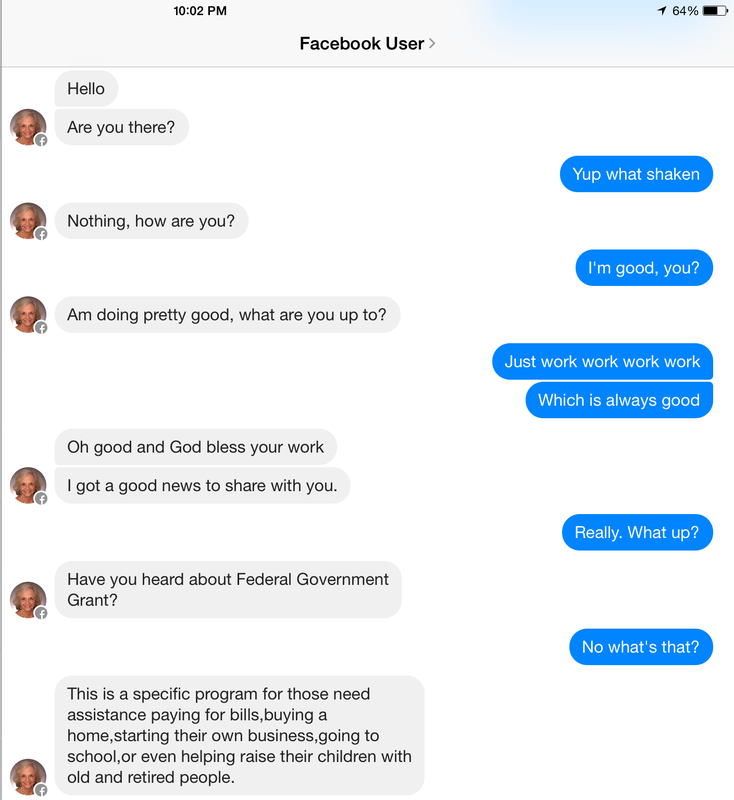 “He’s the one that help me to get the grant he’s a good and honest man, i will give you his private facebook link so that you can apply as well.” Or so the scammer will tell you. “It took me 48hrs, you just have to click on the link and send him a Friends Request. Facebook is SLOW to remove these bogus accounts so be sure to pass this article along to help save them from this scam. At the end of this article are some step by step tips, to help protect yourself. 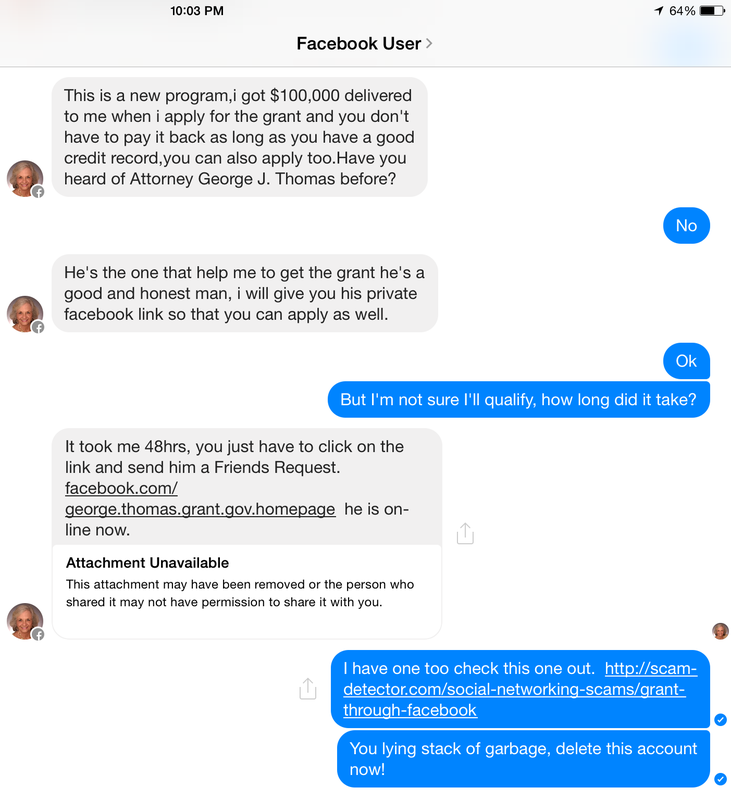 But first here are screen shots of a real conversation with a scammer. 1. If you get a friend request from someone you think you are already friends with take a moment and search your friends name. If you find one you are already friends with, this is a duplicate account. 2. Report it on Facebook. 3. Immediately share the bogus account info with the person being duplicated and share it on Facebook, odds are you have many mutual friends. 4. Be selective in who your friend, Facebook has become a cornucopia for con artist NEVER agree to give any personal Info or send any money to anyone on Facebook. A real friend would call even if they are in Russia and lost their wallet, money and passport. 5. Share this with friends so everyones watchful. Next Next post: My basement is leaking what should I do?